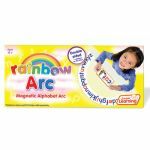 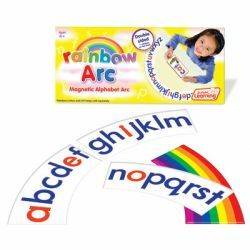 The Alphabet Arc is a double-sided magnetic arc, with the alphabet presented on one side and a rainbow presented on the other. 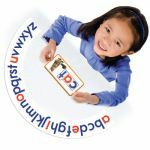 Comes in four quadrants, which can also be used for teaching the sequencing of letters. For use with JRL196 Magnetic Rainbow Letters, sold separately.